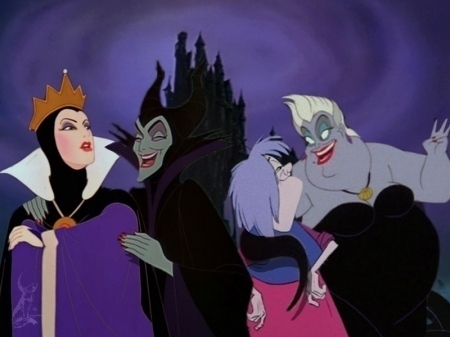 Witches chat. . Wallpaper and background images in the ディズニー・ヴィランズ club tagged: disney villain maleficent evil queen madame mim ursula. This ディズニー・ヴィランズ fan art might contain アニメ, 漫画, マンガ, and コミック. I think if there was a wizards version,it would have these villians:Jafar and Dr.Facilier.